During a panel discussion with the cast, a beloved Easter Egg buried deep in Season 2 made it clear why every second of the series feels so damn good. “The Good Place” enjoys connecting the dots. Whether the writers are crafting a joyfully twisty story or breaking down philosophical interpretations of morality, the critically hailed NBC sitcom uses its comedic engine to drive two pistons firing in unison: One fuels a compelling narrative while the other pushes viewers to think about tricky, big picture topics like the meaning of life, the meaning of death, and how morality relates to both. In other words, there’s a lot going on in Michael Schur’s comedy, but the journey is so fun, it’s addictive. With that in mind, let’s take a little trip, starting at “Homeland” star Claire Danes and ending on Michael Schur’s favorite joke of the season. The story circles around one brilliant episode of Season 2 — Episode 10, “Rhonda, Diana, Jake, and Trent,” which is available to stream on Hulu and NBC’s website — but illustrates the intricate detail within all of “The Good Place,” making it one of television’s best, most inventive comedies. Like the show, how these two ideas connect may not be clear at the onset, but the joy lies in the journey as much as the destination. Speaking at an unofficial FYC panel for Season 2, alongside executive producer and director Drew Goddard and cast members Ted Danson, Kristen Bell, D’Arcy Carden, William Jackson Harper, Jameela Jamil, and Manny Jacinto, Schur said the writers faced a distinct challenge while crafting a “crucial” part of the gang’s trip to The Bad Place. So how does Schur find someone to explain moral particularism to him in laymen’s terms? Go to the source — well, kind of. The story, however, does not end there. Though the series was set in terms of finding a way for Eleanor to usurp Chidi’s steadfast beliefs about morality while they fought their way through The Bad Place, it turns out the solution Schur found for the show convinced more than just his characters to buy in. Bell was pretty quiet on the matter, but she did confirm Schur’s assertion. After digging into the ideology for her role, she, too, started to abide by Mr. Dancy’s assertions. “Good job, Claire Danes!” Carden said. But the trip to The Bad Place wasn’t just one of the coolest parts of Schur’s job; that same episode also produced his favorite joke of the season, which connects all the way back to the show’s origins. Back when Schur and crew were still trying to figure out where they could shoot this series, they stumbled across a hidden gem from a despised source. Schur couldn’t remember which film of Johnny Depp’s “Pirates” franchise took advantage of the set (other than to remember, “Someone fell off a balcony or something?”), but they spruced things up and turned it into the vibrant, beautiful setting that viewers can see in “The Good Place” — or when visiting Universal Studios. From that, sprang this: Schur’s favorite joke of Season 2. When Bell asked about an “easter egg” referencing their set’s origins, the creator explained. It’s a blink-and-you’ll-miss-it moment, but the poster can be seen in the corner of the frame for a few seconds. 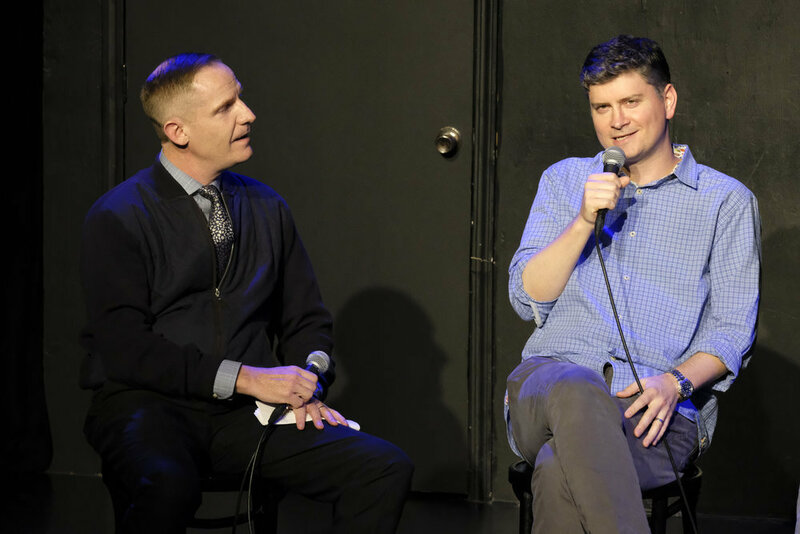 Crediting writer Matt Murray for the joke, Schur elaborated on why this particular moment makes him so happy. It should come as no surprise that a detail-minded person like Schur finds joy in the little things — or, more specifically, in a very large thing that’s barely seen. It’s part of what makes his show rich, absorbing, and special. “The Good Place” makes connecting the dots rewarding because each individual dot is valued. So go back, and find your own “Pirates” moment; there’s more than one for everyone.